Uncategorized | Info on Webkinz!! Happy Thanksgiving! I surely hope that you logged into Webkinz today and recieved your free girf basket! If you did, you will be surprised about whats inside! If you recently have gone on Webkinz and either looked on the news or went to the arcade, you should have realized there is a new game called Pizza Palace! It is pretty fun so why do you check it out? As most of you know Christmas and Thanksgiving are peeking right around the corner! Webkinz, of course is always prepared for the Christmas season! Now Ganz has created an all new stylish carrying bag for Webkinz! A seasonal carrier for your favorite Webkinz pet! Designed in classic red and white, it makes a great gift! Every Holiday Carrier unlocks a unique holiday wardrobe for your pet! Even though Webkinz has previously released the ornaments, I still want to announce them since I haven’t seen any in stores! Show your Christmas spirit with Webkinz Ornaments! There are 24 to collect, with your favorite pets and characters! Unlock a special Christmas tree that you can decorate! Each ornament comes with three tree options. Collect them all for an additional prize! 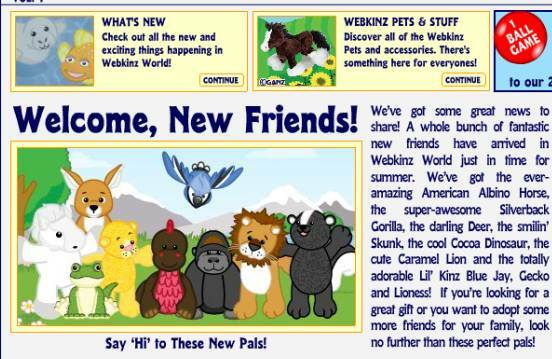 Newly released webkinz are already being retired! American Albino, American Buffalo, Cocoa Dinosaur, Crocidile, Deer, Fantail Goldfish, Floppy Pig, and the Pink and White Dog! Get these while they last! New webkinz are also going to be released soon! Keep a sharp eye out if you see them! If you do, let me know! Most of you are probably wondering where I have been. Well, I am now going to school and I haven’t left any time for the computer. I am sorry and I will do my best to try to keep up with everything going on in Webkinz World! Remeber to keep coming back! Haloween is here and webkinz has some treats for you! You can only get these spooktacular items today! KEEP CHECKING BACK HERE FOR NEW UPDATES, POSTS, AND MORE! Many New Webkinz pets have been released! Man, I am so excited to pick up several of these furry friends! 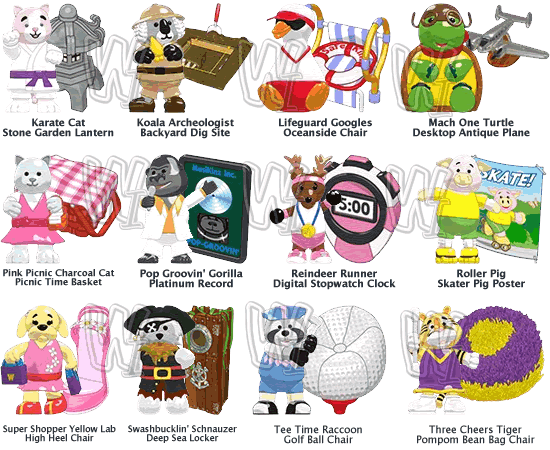 Also many new figurines have hopped into Webkinz World! I haven’t been posting alot because I was discouraged no-one still came here at https://webkinzworld101.wordpress.com …. Please comment below so I still know your here and that you still enjoy coming here at Webkinzworld101! Also I have been getting ready for school so it has been really busy!! Sorry I haven’t been posting much! I have been really busy lately! Breaking News: Zingos celebration has arrived!!! Webkinz has officially announced that you can now (July 17th) get the retired Wacky Zingos Trophy!!! You can only get it now through July 23rd! Get it while it lasts! All you have to do is get past the 600 mark! Sorry we are not giving out the prizes to the last contest because we did not have enough entries before the due date! Better luck next time! I have the tiger snake and the Black and White Cheeky Dog! Remember!Get them while they’re here! Stay tuned for more good up-coming events!!!! !